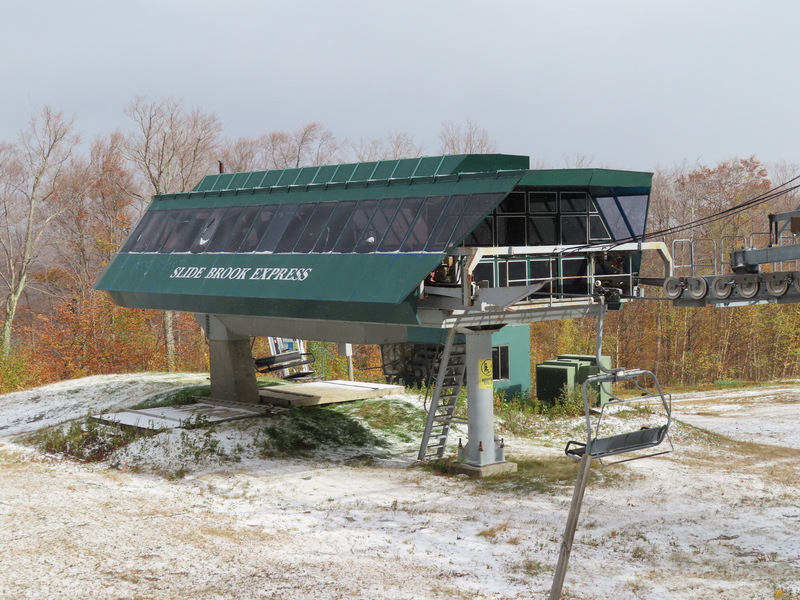 Slide Brook is the longest chairlift in the world at just over 11,000 feet. It connects two mountains and has a net vertical rise of less than 400′. Loading area on the Lincoln end. Tension station at Mt. Lincoln. This is approximately towers 30-40. Another view of the Mt. Lincoln section. The drive station at Mt. Ellen. View towards Lincoln Peak at tower 8. Drive station seen from above. This was closed the day we went here so we had to take a shuttle. 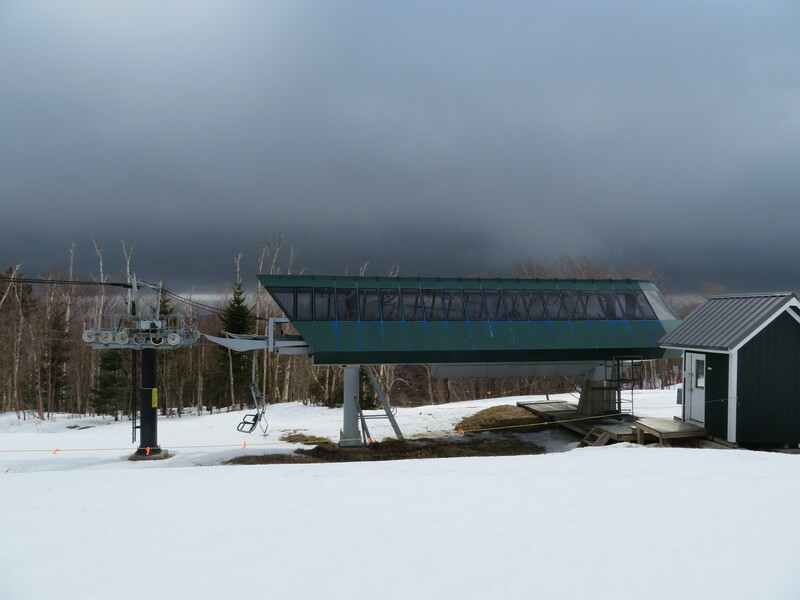 The biggest problem with this lift is that there needs to be sufficient snow underneath it so that ski patrol can evacuate it should anything go wrong. Yeah. The only easy thing to do is use a passenger snowcat. I wonder how any mountain runs lifts in the summer then if they have to have snow under it to evac. Couldn’t they use atv’s to get around if there wasn’t snow? 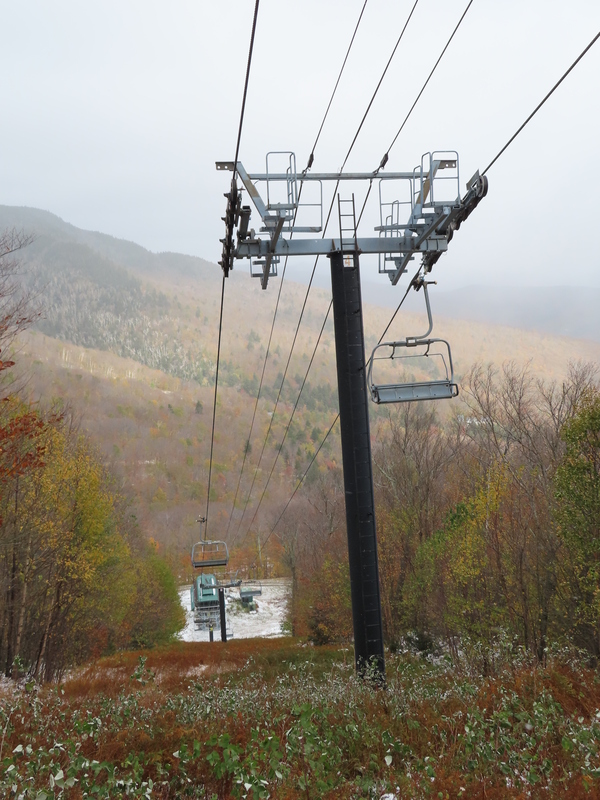 Whiteface runs their gondola all summer and the line is really steep and hard to get to. IMO you can’t advertise it as one ski area if you have to take a bus between the sections. They don’t run it in the summer. Only Super Bravo. In my opinion saying they need snow under the lift to do an evac is an excuse for not running it to save money. Would’ve edited this into my previous comment but there’s no way to edit or delete comments. It is only because of evacuation not money. 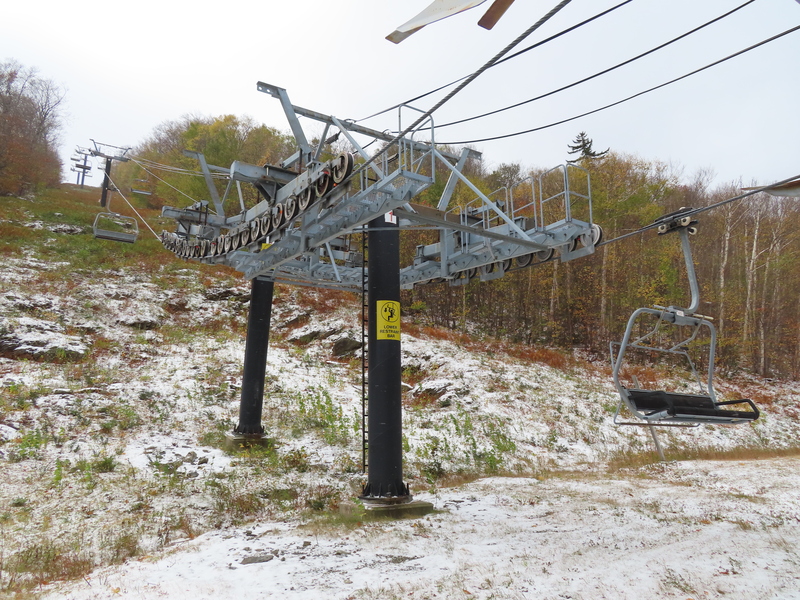 Sugarbush would be in big trouble if they couldn’t evacuate the lift. Vermont law says so. The problem with Slide Brook is that it spends 11000 feet in no-mand’s land. If there was developed terrain that is easily accessible via snowcat or ATV, then the “must have sufficient snow below the lift line for evacuations” rule probably doesn’t apply. I have never ridden White Face’s Gondola, but do you know if it has some kind of special evacuation system? Red Pine at Park City has Poma’s Poma-Bus evacuation system for this purpose (to my understanding). 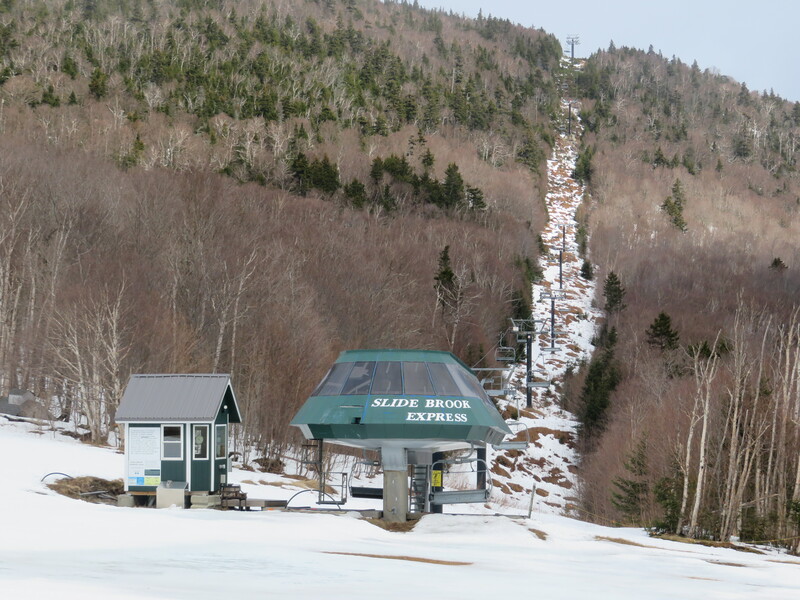 I’m not sure if the “must have sufficient snow below the lift line for evacuations” applies to Whiteface’s Gondola, or if it is just a rule unique to Sugarbush and the Slide Brook Express due to its remoteness. 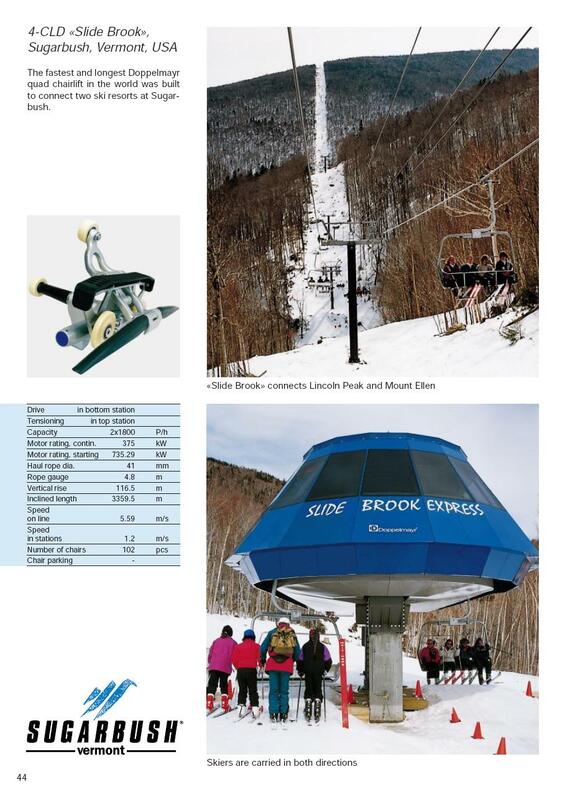 Look up the lift on New England Ski History and you’ll see multiple pics dated 2004 showing the lift open with zero snow underneath on the south facing sections of the line. Clearly wasn’t an issue then, so unless some regulation changed, the reason they are telling you it doesn’t open and the actual reason it doesn’t open are different. They’re just regurgitating what marketing/PR tells people. 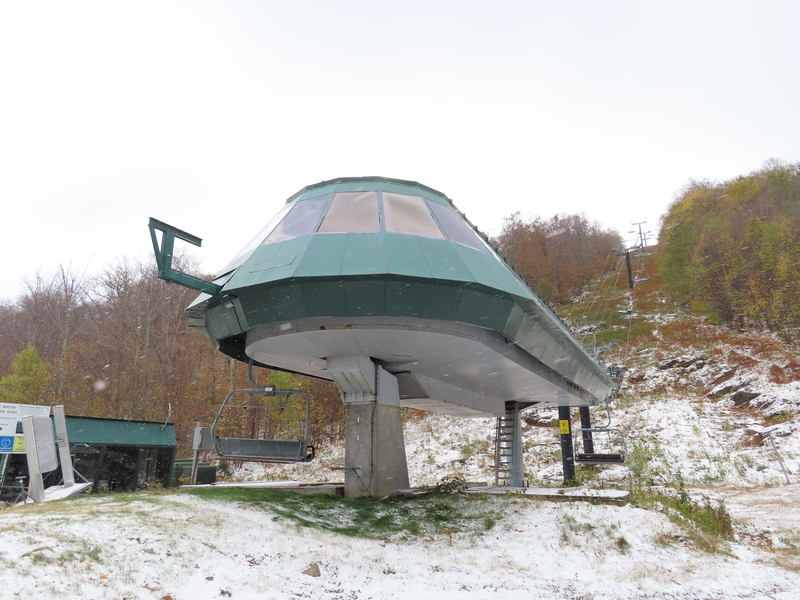 The whole snow requirement might be a more recent thing as there are multiple pictures on the internet of that lift running without snow underneath it. Even if all that stuff is true with the weather related restrictions, it doesn’t change the fact that Sugarbush is too cheap to run their own shuttle between the base areas and instead just refers you to the local public bus that only runs once every hour and makes dozens of stops between the base areas and takes well over half an hour to complete the trip. If you drive yourself over you’d lose your parking spot which could be a big deal if you got there early on a busy day. They just don’t think they need to run it or provide a good alternative because many people just ski one side or the other on a given day and don’t go between. 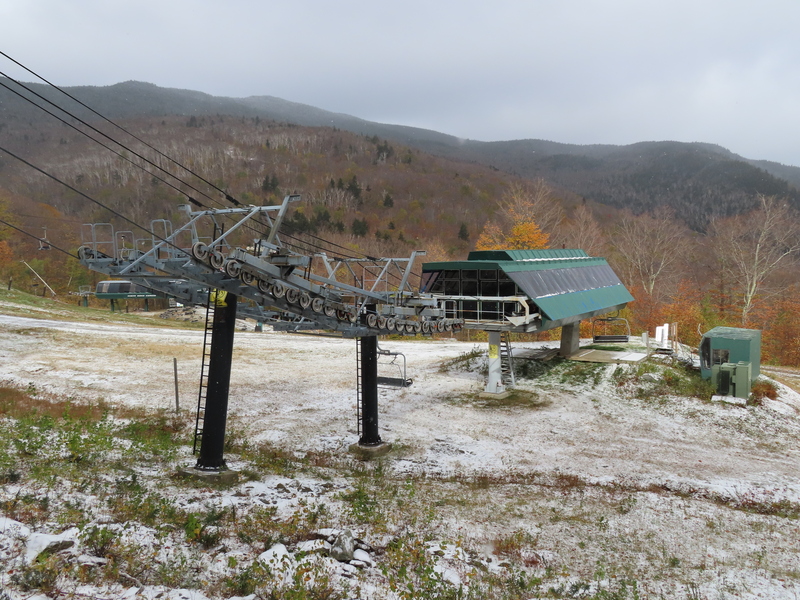 I really want to get to Sugarbush, but I don’t plan on doing that unless this lift is open and connecting the two mountains. The lift has 43 towers. Im suprised this lift is not a dually (Dual tensioning) for being so long. 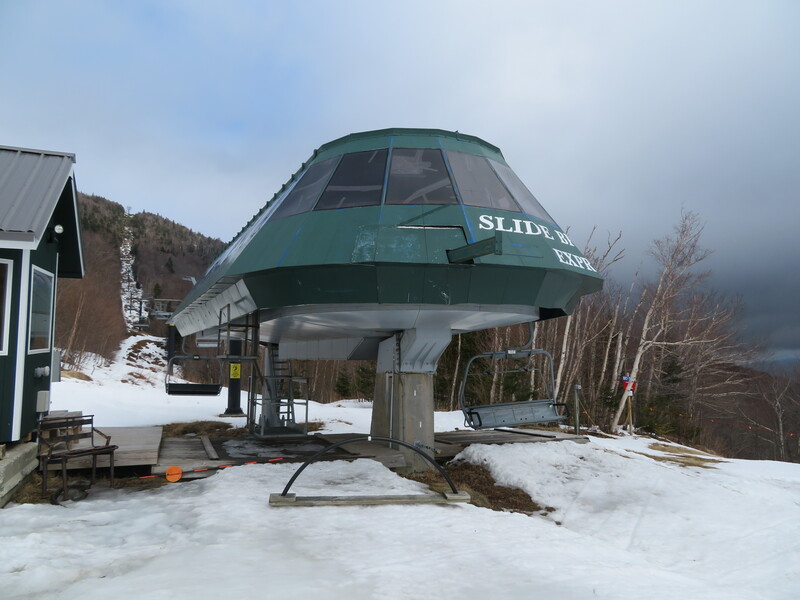 There is a long list of requirements needed to be met in order for Sugarbush to run this lift. #1. There has to be 1′ 1/2 of snow both underneath the lift and on the access road to the bottom of Slide Brook Basin. #2. The temperature must be above 5 degrees throughout the whole entire day. #3. There can´t be high winds. #4. The access road to the bottom of Slide Brook Basin must be groomed. Sugarbush has to want to run it also. So pretty much, this lift never runs, but in marketing, they can pretend it does. Great. They could make it a chondola and when the requirements don’t allow the lift to run, they could only load the gondolas. That way you could still ride the chair if you want to and the conditions allow it. Honestly, they should just make it a full gondola. I’ve never ridden slide brook myself, but I’ve ridden Chair 10 at Telluride (300 feet shorter), and it’s really not fun. 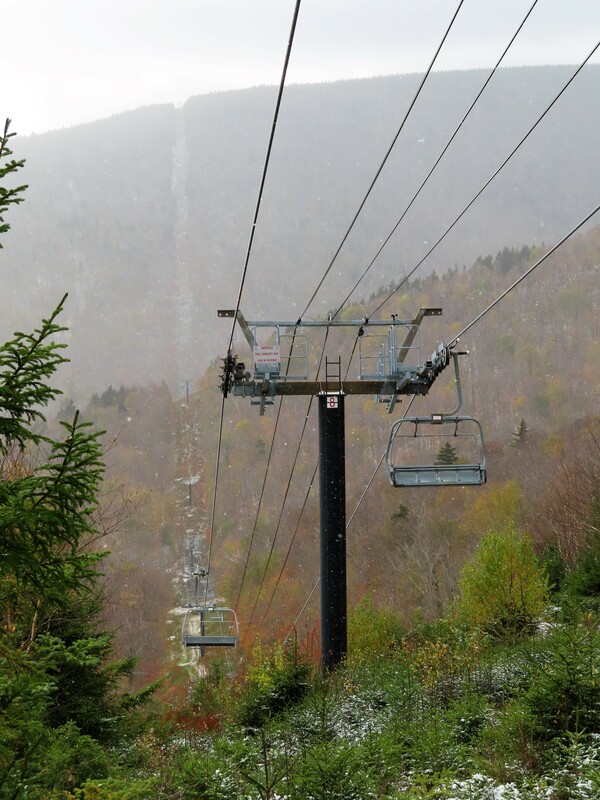 As a lift people would ride at most twice a day, I don’t see the problem making it a full gondola, because if it was a chondola, unless it was 50 degrees out, the chairs would go completely empty. Great idea. Dump a bunch of money into a lift with questionable utility, challenged economics and limited operability already. The whole reason it is a chair is to make it effortless to traverse between the mountains. It is a nice ride that is rather pleasant that actually isn’t too long. Sunshine might be different in that way. Slide Brook (when it actually runs) is amazing. I ski at Sugarbush very often and it is always a treat when it is running. Too bad it doesn’t run more often. If you come in March you’ll find that it runs most days thanks to more favorable weather and snow conditions. And a decent amount of people use it (at least on weekends) so the ski area certainly likes to run it if they can. 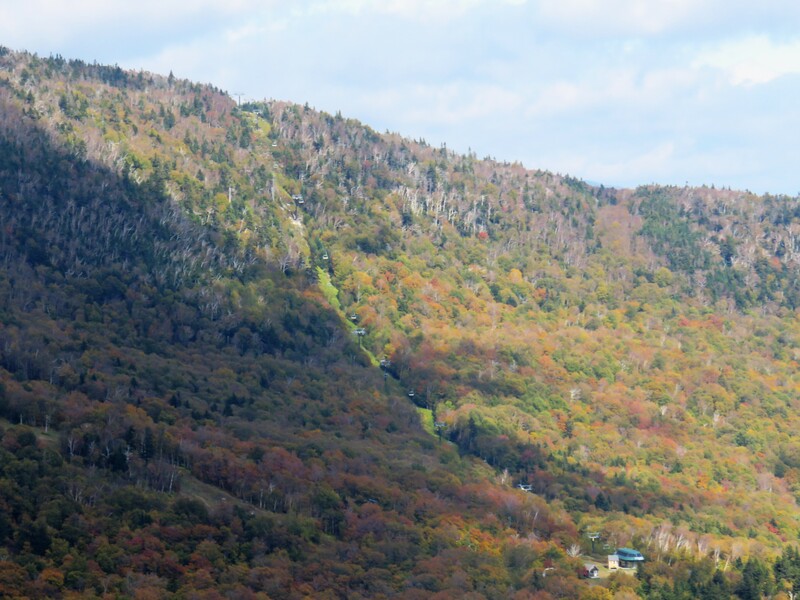 I think the best solution for Slide Brook is to simply expand into Slide Brook Basin. Two lifts, one to the top of Mt. Ellen and one to the top of North Lynx, would be all that is required to allow for a skiable connection. 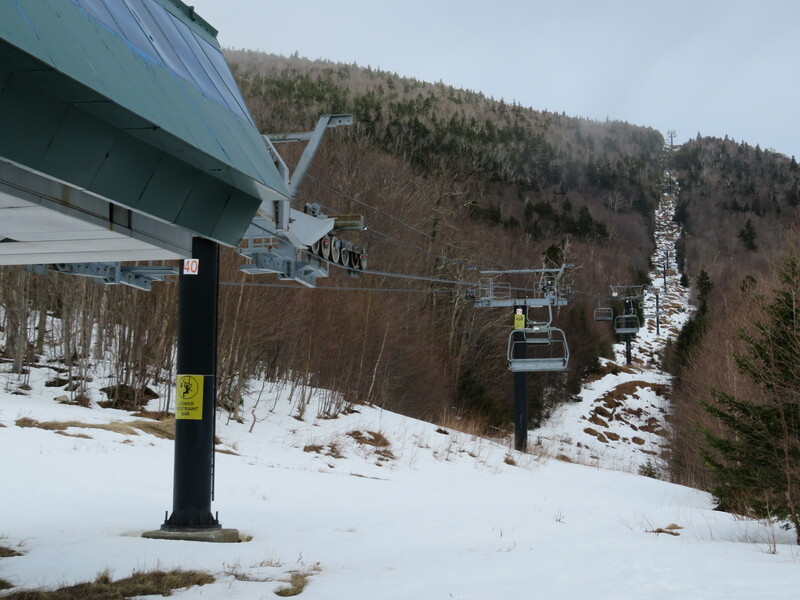 There are also some well pitched slopes in the area that would allow Sugarbush to offer a mixture of more mellow intermediates and challenging diamonds. When Les Otten decided to build a lift here in 1995 he signed an agreement that Sugarbush can’t expand into the Slide Brook basin. Wildlife is also another concern. This simply won’t happen!